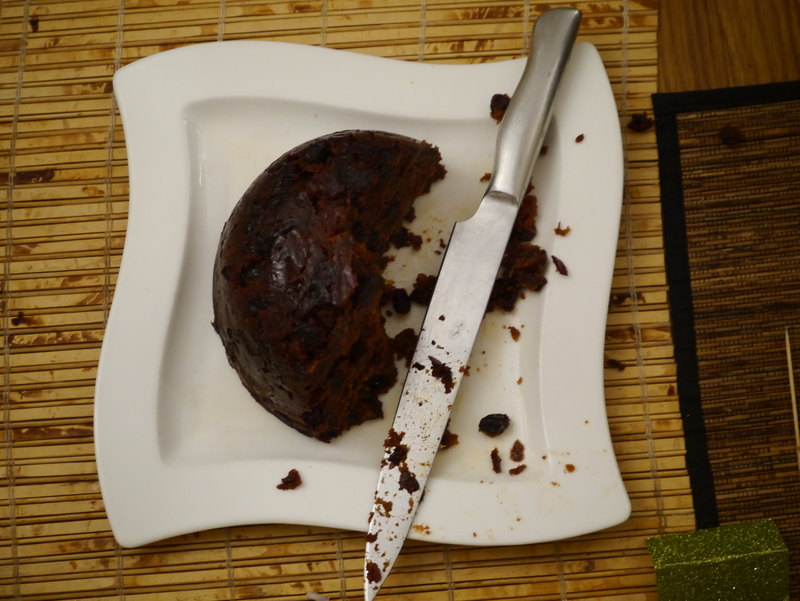 Following on from my post of 10th December about making my gluten-free Christmas Pudding, I just had to write to let everyone know just how good it was. 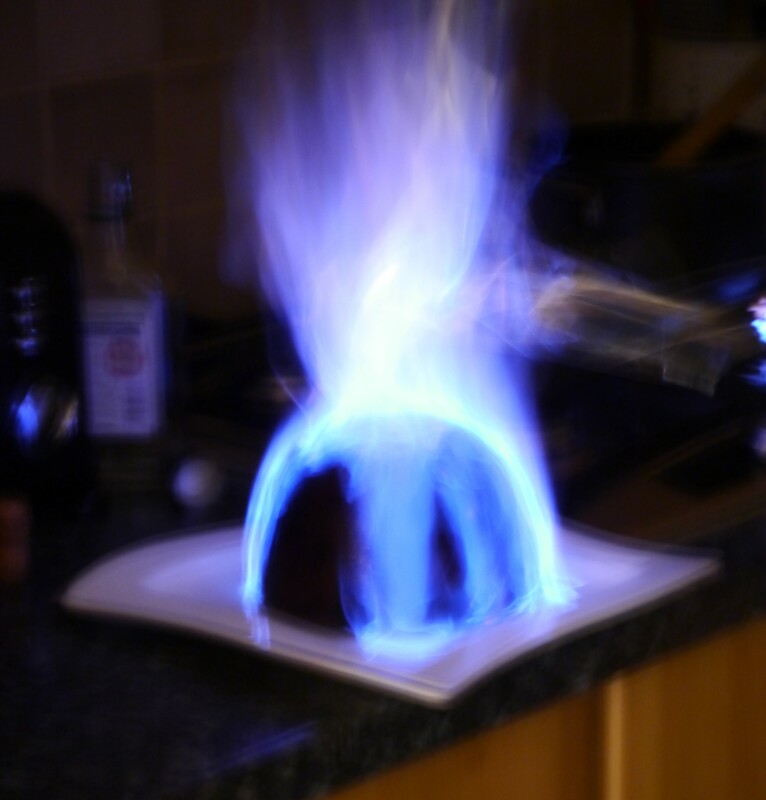 It is very easy to just try out a recipe on yourself or your husband and thinking it’s lovely, but getting a Christmas Pudding past my son takes some doing; he is a connoisseur of them. He absolutely loves a good pudding and I knew I had won when he had ‘seconds’. I have been making ‘ordinary’ puddings since 1970, and this was my first attempt at a gluten-free one with minimal refined sugar (in the marmalade). With the recipe quantity, I made a 1L pudding plus a very small one to try which was really tasty. Letting the pudding mature for about three weeks, simmering again for two hours and then letting it stand for at least half-an-hour in the bowl, the larger pudding turned out perfectly and the flavour had improved immensely. I almost had to call the fire brigade in as I used a little too much brandy to flame it (sorry about the out-of-focus picture but it is difficult to take one in the dark – thank you to my d-in-law for this one) and when we ate it, we were all so impressed with the texture and flavour that it was unanimously voted the best pudding ever. That’s impressive in anyone’s book. There wasn’t many crumbs left at the end of the meal – it really was so rich and tasty. I will most definitely be making this pudding again next year. This entry was posted in Miscellany, Sweets and Treats and tagged Christmas, Gluten Free, Healthy Eating, Pudding, Vegetarian, Wheat-Free. Bookmark the permalink.